Each year, as part of the Central Pennsylvania Festival of the Arts, Jana Marie Foundation sponsors an Italian Street Festival Square. 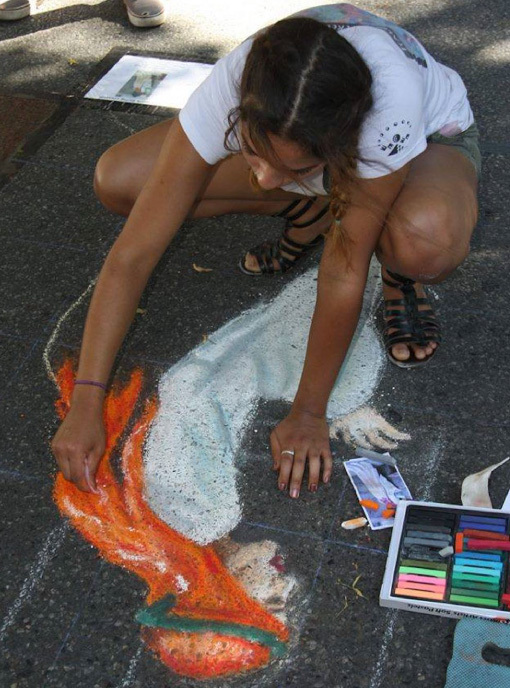 The young artist or artists has an opportunity to design, execute and showcase their sidewalk art during the Festival. Jana Marie Foundation awards scholarships to young people, in grades 6-12, from the State College (PA) Area School District. We match the recipient with an artistic or creative program that fosters his or her natural abilities and helps them grow and flourish. 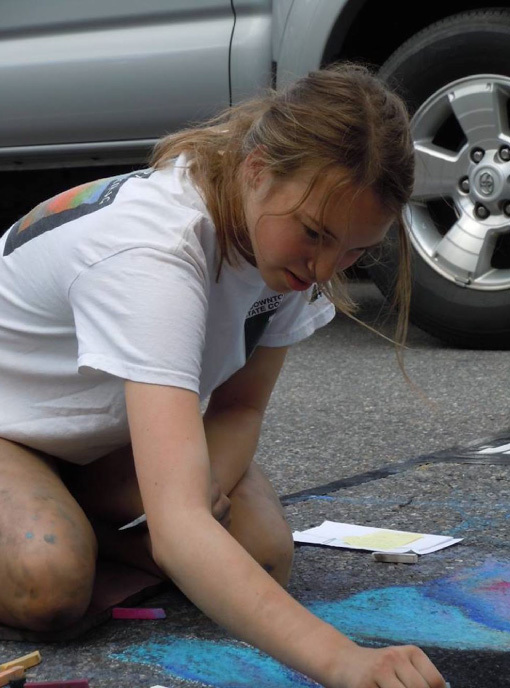 Each year, a young man or woman currently enrolled in the State College (PA) Area School District’s Delta Program is awarded the Jana Marie Foundation Creative Expression Award for his or her artistic and creative achievements. The monetary award is presented to the recipient at the annual Delta picnic.